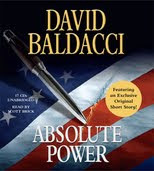 Absolute Power is available for the first time Unabridged on CD in an all-new recording by Scott Brick, the first of the blockbuster thrillers by New York Times bestselling author David Baldacci. The book that will change the way you think about Washington - and power - forever. In a heavily guarded mansion in a posh Virginia suburb, a man and a woman start to make love, trapping a burglar behind a secret wall. Then the passion turns deadly, and the witness is running into the night. Because what he has just seen is a brutal slaying involving the president of the United States. David Baldacci lives with his family in Virginia. He and his wife have founded the Wish You Well Foundation, a nonprofit organization dedicated to supporting literacy efforts across America. He invites you to visit him at www.david-baldacci.com and his foundation at www.wishyouwellfoundation.org, and to look into its program to spread books across America at http://www.feedingbodyandmind.com/. This is the first book by David Baldacci that I have listened to and it will not be the last. Scott Bricks narration was wonderful and you were able to hear the emotions of the characters in his voice. I listened to the story while on the treadmill and before I knew it I had walked three miles. 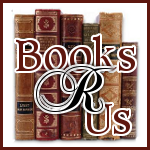 The book has it all deceit, suspense, and the plot and character development was great. The bonus short story No Time Left was good and interesting. I just won a copy of the Audiobook, True Blue and I am eager to listen to it. Mr. Baldacci will not let you down. I received a Free copy of the Audiobook from the Hachette Book Group for my honest review. I was not compensated for the review.